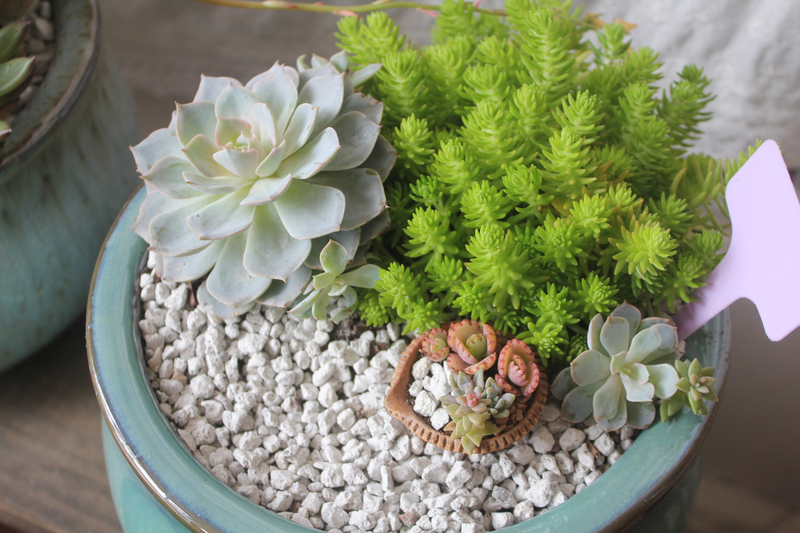 The Basic DOs and DON'Ts for Succulents - Sucs for You! 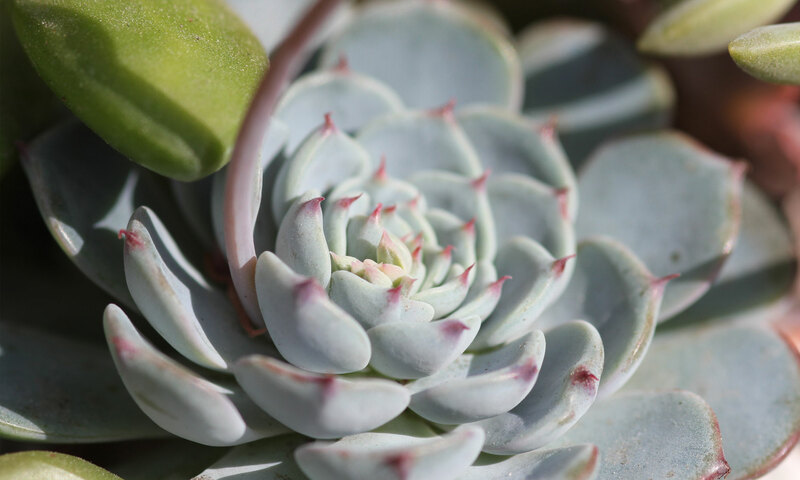 From top dressings to pre-purchase tips, these are some very basic DOs and DON’Ts when it comes to keeping succulents happy. DON’T use moss in your succulent pots. It looks pretty but it traps moisture, encourages fungi/bacteria. Also avoid non-porous rocks like pea gravel, river rocks, fish rocks, glass marbles, etc. You can use a few rocks here and there as decoration as long as the soil has plenty of air to breath. DO use top dressings that double as drainage material. My favorites are pumice, shale, and Turface. My shopping sources are listed on the Supplies page. DON’T use containers without drainage holes unless you are planning on it being a very temporary arrangement. This includes terrariums, jars, bowls, mugs…and no, not even if you put rocks on the bottom before filling it with soil. This creates the perfect environment for bacteria which causes rot. DO drill anything that doesn’t have a hole in the bottom. Using a ceramic or glass bit, you should add enough holes to allow the soil to dry quickly, especially if the container is non-porous or glazed. For larger holes, use a piece of screen, burlap, garlic net, or anything that will hold the dirt in but allow it to fully drain. DON’T give your succulents full direct sun unless they are accustomed to it. Most want bright indirect sun to part-sun. 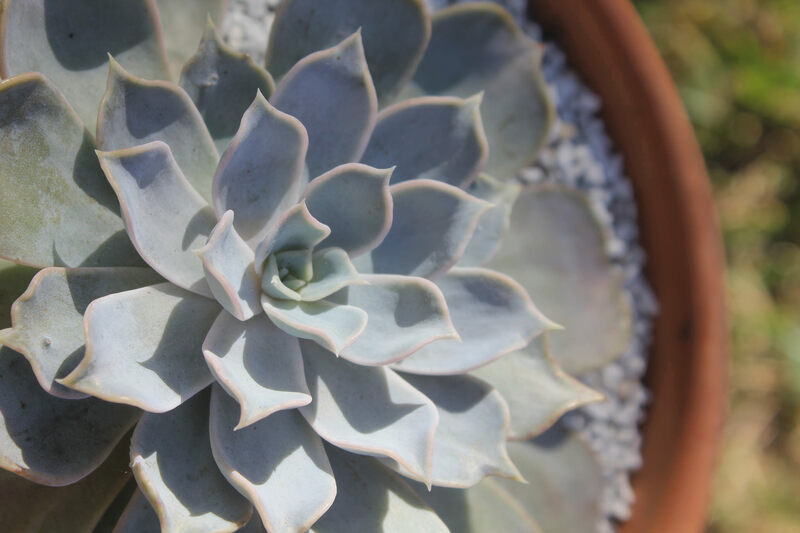 Moving a succulent from part sun to full sun can burn it and kill it. 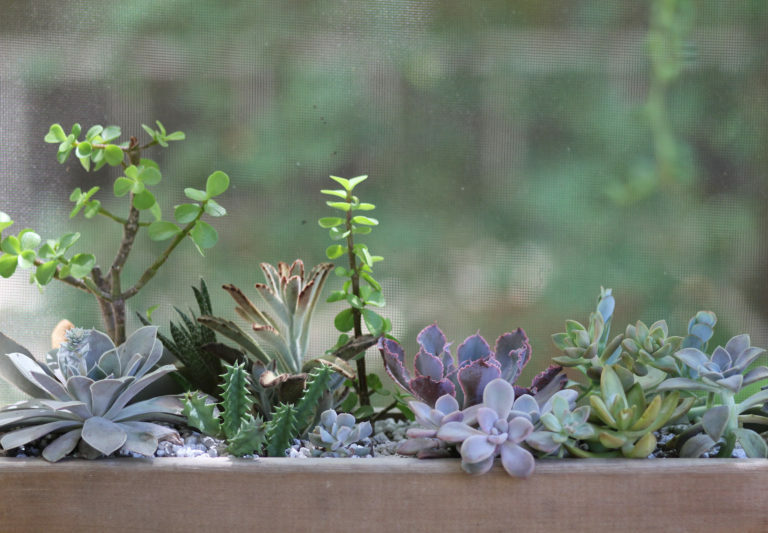 DO give your succulents as much light as they’ll tolerate but ease them into it. Put your plant in a spot that gets a bit more sun than it normally does then move it to a brighter spot over the course of a week or more. North-facing shelves/gardens/windows will get the least light, while west gets the most. East-facing gets morning sun and south gets a nice balance of east and west sun. DON’T base your watering frequency on a schedule but on how dry the soil is around the roots. If the soil isn’t drying within a week, you may want to repot in a different container with better draining soil. DO consider using a smaller pot which will dry out more quickly. Unglazed clay with drainage holes is ideal. Amend your soil so the drainage materials outweigh the organic. DON’T use pre-bagged potting soil with added fertilizer as it’s usually not the right nutritional balance for succulents and has too much organic material to dry out quickly. DO use plain topsoil with a very generous amount of drainage materials. The amount of brown organic dirt should be equal or less than the other materials. My soil recipe is on the Care Guide page. 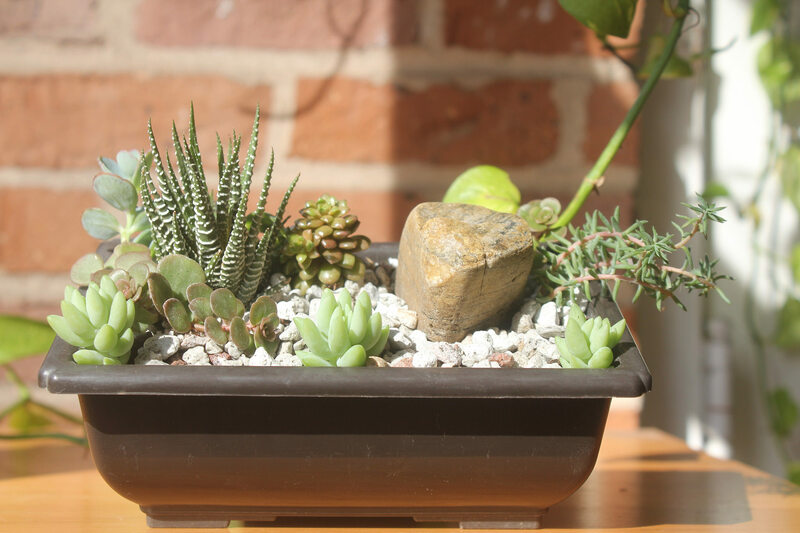 DON’T assume the soil you purchased your plant in is optimal for that type of succulent. Inspect all plants for pests and fungus before bringing them home. Avoid buying plants that shared a space with sickly or infested plants, and those that have been treated with neonicotinoids or other environmentally unfriendly insecticides. DO inspect your chosen plants and nearby plants for pests and fungus before bringing them home. 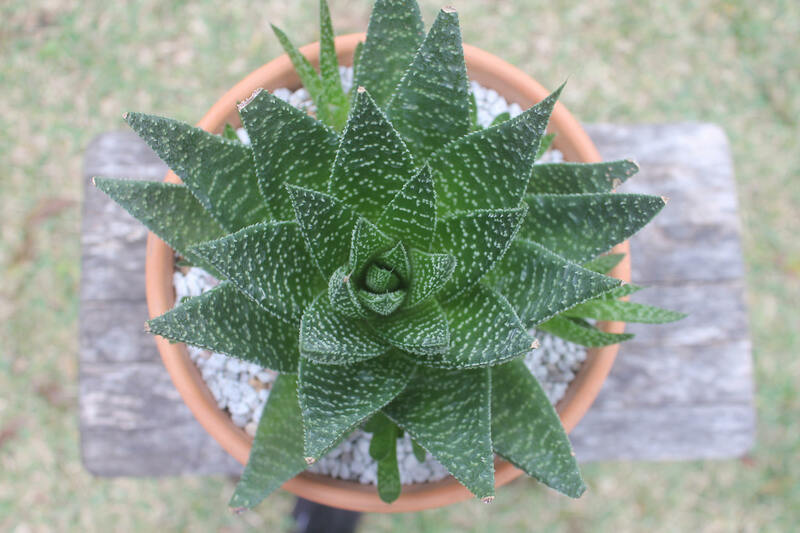 Repot in good succulent soil if needed and especially if the soil is wet when you bought it. Be careful about giving them more sun than they’re accustomed to. Start with part sun and increase light exposure gradually over the course of a week or more.